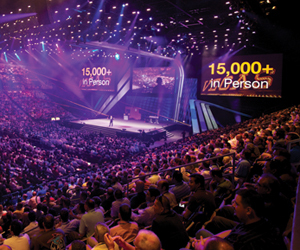 Virtual events are one of the fastest growing platforms in the event industry. 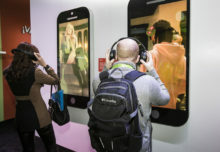 Yet despite their slick graphics, 3D environments and high-tech appeal, the pervasive question remains: How do you engage with attendees if you can’t see, touch or talk to them? When Cisco Systems set out to save costs by taking its weeklong annual sales meeting out of the real world and into a virtual one for the first time in 20 years, it had 20,000 very demanding reasons to answer that question: its sales force—the people who compete all day, every day to generate revenue and then bask in the recognition and rewards reaped at the annual sales conference. Cisco’s Global Sales Experience (GSX) serves as one of the industry’s largest virtual events of the year, a massive undertaking—and one that required a little bit of moxie. Let’s take a look at both the program and some of the lessons learned. The three primary objectives of Cisco’s annual sales meeting are: communication, motivation and recognition. 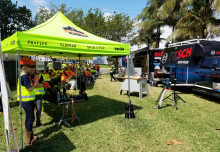 Making sure its sales force is up to date on product lines, economic projections and goals for the year is mission critical to the company’s communication strategy and the event’s success. 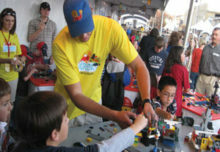 To help ease the transition from live to virtual, Cisco communicated to its attendees in a variety of familiar formats. The motivation objective proved to be more challenging. “How do we motivate and recognize people when they are used to seeing great motivational speakers like our ceo [John Chambers] or Bill Clinton and walking into a general session room that’s glitzed and glammed up with loud music and great lights?” Smith asked. “Although the games and environments were great, there was a little piece missing.” Part of the motivation strategy was to go “Dr. No” on Cisco’s sales force. Enter “The Threshold,” a James Bond-style, “DaVinci Code”-esque scavenger hunt and puzzle-solving online game that was about getting the entire sales force involved and tapping into their inherent competitiveness to pull them into the virtual environment. It began three weeks before the sales meeting and ended on the last day of the event. 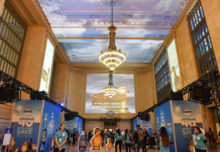 One of the most motivational aspects of Cisco’s previous annual sales meetings was the chance to travel to the event, so Cisco recognized that in the environment’s visuals. The virtual event, powered by Chicago-based provider InXpo, was hi-res and packed with rich imagery and vivid colors reminiscent of an exotic vacation spot. It rivaled the best Xbox or Wii game’s graphics in fluidity and, most importantly, depth, Especially in the gaming sections, the imagery was almost three-dimensional in feel. “I didn’t hear a single bit of feedback that said it was anything but stunning and beautiful looking,” Smith said.